Western Skies Strategies specializes in executive management, government relations and strategic consulting. Our team applies effective business management skills to guide and grow non-profit associations that are successfully thriving and functioning in the 21st century. From ranchers and range professionals to seed analysts and seed businesses we are fortunate to play an incredible role with board members, committees, members and volunteers. Part of our work involves our team coordinating private/public partnerships and relationships. From direct interactions with Members of Congress and the Administration to the various Federal Agencies. Each day we are successfully carrying out projects that enhance production agriculture, resource management, small businesses and rural communities. At WSS, we combine excellence with passion. Marketing and public relations play a key role in the success of our projects and associations. Our team takes pride in assuming the culture of the association and delivering a message that informs, engages and activates memberships and affected stakeholders. Websites, social media, email and print media all need to be coordinated in a fashion that ensures successful outreach and engagement. Associations, companies, professionals, stakeholders and government officials all benefit by coming together on an annual basis to meet and learn the latest on current events, research, policies, regulations. Knowledge and networking gained at these events and conferences enables people and entities to best position work and efforts to adjust to current events, emerging trends and the latest research. Each year our team coordinates with planning committees to offer high- level, successful annual events and conferences. Complimenting all of these efforts involve special projects in which our team offers insights and strategies for interested stakeholders to navigate and succeed within a variety of portfolios and projects included but not limited to: agriculture; resource management; small business; rural America. We're integrated, from idea to execution. 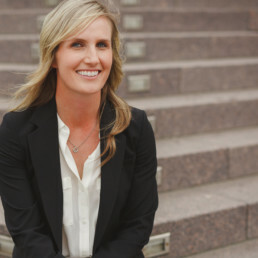 Jess Peterson is the President and CEO of Western Skies Strategies (WSS). For over a decade, Peterson has specialized in executive management, strategic consulting and government relations for a number of clients focused in the agricultural and natural resource arena. Peterson and his team at WSS provide strategic consulting services that enable clients to successfully navigate Congress, federal agencies and the media. Peterson also serves as a spokesperson for various membership groups and frequently appears on national media forums and industry panels representing agriculture and natural resource interests along with updates on executive management. In his travels he has given more than 250 speeches in nearly 30 states. Jess and Laura along with daughters Cadence and Chloe manage a cattle herd that is part of Peterson Land and Livestock, a cow-calf operation based near Custer, MT (Yellowstone County). Peterson Land and Livestock also runs cattle near Red Lodge (Carbon County), Hysham (Treasure County) and Colstrip, MT (Rosebud County). 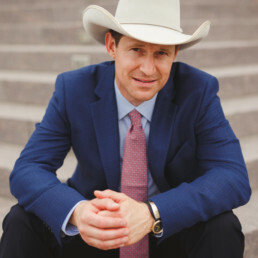 Peterson has been recognized by Cattle Business Weekly’s as of the Top 10 industry leaders Under 40; Livestock Market Digest’s 25 individuals that is making a difference for the American livestock industry; and Washingtonian Magazine’s 40 under 40 “K Street's New Generation of Lobbyists.” Peterson has been featured in stories covered by CNN, Fox News, Washington Post and the Wall Street Journal. Peterson is an alumnus of Miles Community College in Miles City, Montana, and Gonzaga University in Spokane, Washington. 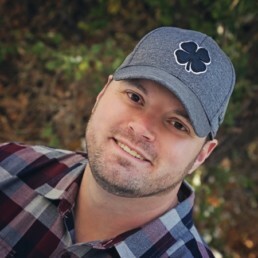 Kelly’s personal connection to her current client list began at a young age as she was born and raised in the small town of Oakdale, California, in the heart of the Central Valley. Kelly grew up working on her family's 5th generation beef cattle ranch and reveled in the time she was able to work alongside her parents and learn, first-hand the intricacies of both the physical and business aspects of the industry. In acknowledgement of the challenges facing her family’s operation and those of the industry, Kelly sought out a university that pushed her out of her comfort zone and ultimately landed her at the University of California at Los Angeles. Kelly graduated from UCLA in 2009 with a degree in Environmental Studies and a minor in Political Science. 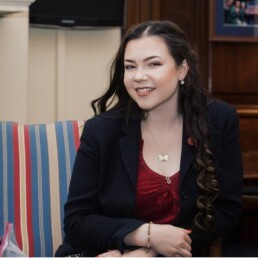 While attending school, Kelly embraced the opportunity to participate in multiple internships and skills gained from time spent working with the Los Angeles Dodgers and both the state and D.C. offices of California Senator Dianne Feinstein influence her work today. After graduation, Kelly returned to the family ranch where she worked full-time for a year before deciding to make her way out East to Washington, D.C. While working for her family, Kelly saw the importance of ranchers having a voice in Washington and wanted to contribute her services to the cause. Kelly is familiar with the ins and outs of D.C. from her time spent here as an intern. Currently, Kelly manages the day-to-day activities for WSS in D.C. in which her responsibilities range from advocacy, organization of industry fly-ins, facilitation of training workshops and associated federal agency financial agreements to media and press outreach and correspondence. Her primary portfolios include the U.S. Cattlemen's Association and the Society for Range Management. Lia Biondo handles the day-to-day operations for the Western Skies Strategies Washington, D.C. office. 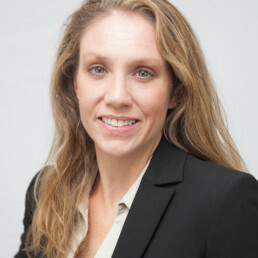 She manages the premier public policy portfolio and engages on a daily basis with Congress, Federal Agencies and the White House, helping associations and individuals successfully navigate Capitol Hill and build relationships with key Administration officials and industry leaders. Ms. Biondo directs the WSS Washington, DC fellow and intern program and presents regular lobbying educational workshops. She also co-chairs one of the leading national natural resource policy advisory committees. Ms. Biondo has contributed to pieces that have been spotlighted by CNBC, The Washington Post, the BBC, and RFD-TV. 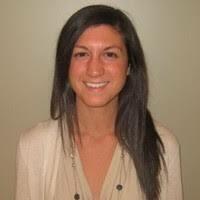 Ms. Biondo is a native of the “Mitten State,” she graduated from Michigan State University with a degree in Environmental Studies and Agriscience. When she’s not in the District, you’ll find her at the barn, in the woods, or on the water. Kelly Polzin was born in the San Luis Valley of South Central Colorado and raised on a potato and barley farm. Early on she had an awareness of many farming obstacles and developed a passion advocating for her family farm and agriculture. In 1999, Kelly graduated with a Bachelor’s of Science from Colorado State University. While at CSU, Kelly found her voice being involved with the Block & Bridle Club, Collegiate Cattlewomen’s, and the Horse judging team. 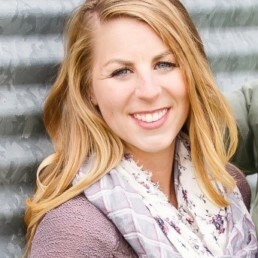 Kelly continued to nurture her passion for agriculture while working weekends, alongside her future husband Travis, on the family managed ranch. Since graduation Kelly has had adventures taking her from Texas to north of the border in Lethbridge, Alberta Canada. Kelly has years of experience, polishing her skills in a variety of ag-related fields. While in Texas and Canada she worked for large commercial cattle feeding operations as Head Cattle Clerk. She also has technical experience such as laboratory work as well as working as a Veterinary Assistant. She spent time in administrative duties, as well as customer service in the ag-lending field. Kelly has volunteered on County 4-H fair boards, activities with the local church, and most recently with the American Agri-Women organization. With the Colorado affiliate of the AAW, she served a vital role in organizing and hosting the AAW National Convention in Denver. Kelly, has always drawn from her experiences, a passion to support and love agriculture. Kelly enjoys photography, gardening, sports, hunting and getting back to the farm or ranch to help with the daily tasks. 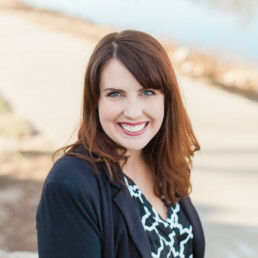 Kelly currently resides in Wichita, Kansas with her husband and two children. Mary Jo Foley-Birrenkott offers a history of success spearheading and managing initiatives related to agriculture and natural resources. By applying her expertise and strong background in collaborative efforts, education, and outreach, she has demonstrated leadership in responsible management to benefit the strategic endeavors of multiple organizations. Ms. Foley-Birrenkott holds a Master of Agriculture Degree with emphasis in Rangeland Ecology and Management, Agricultural Education and Wildland Fire Ecology, as well as a Bachelor’s Degree in Animal and Range Sciences from Oregon State University. Ms. Foley-Birrenkott launched her career working with multiple natural resource/agricultural based non-profits in the role of Agricultural Professional Consultant. Her primary services relate to project management, training development, grant writing, event coordination, membership services, communications, and outreach. Ms. Foley-Birrenkott lives in Albany, Oregon with her husband, enjoys playing soccer with her family, spending time with her nieces and nephews and is most happy outside doing farm work. 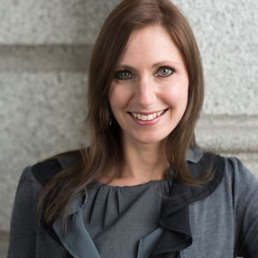 Rebecca Meyers has been a contract lobbyist for the better part of a decade and, in 2018, founded Northbound Public Affairs, a Government Relations and Strategic Consulting firm. Northbound Public Affairs is a strategic partner to WSS for several premier clients. Ms. Meyers’ demonstrated success in collation building, along with her expertise in environmental policy, local government, healthcare, agriculture, and state budgeting, has allowed her to pass legislation, develop and implement policy, and build strong relationships in communities across several states. In addition to direct lobbying services, Ms. Meyers works with organizations to conduct political feasibility studies, focus their policy priorities, and engage in general organization development, including strategic planning. Ms. Meyers is a member of the Executive Board of the Helena Leaders Network, a program of the Helena Chamber of Commerce. 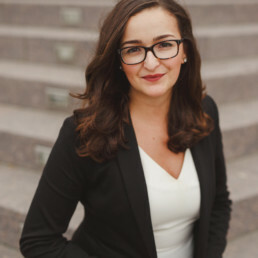 She currently serves as the Chair of the Community and Member Connections Committee. Ms. Meyers is also a Board Member for the Alternative Energy Resources Organization (AERO), an organization dedicated to empowering communities to promote a more sustainable Montana. Ms. Meyers lives in Helena, MT, with her daughter and husband, and loves outdoor recreation, world travel, and being an active member of her community. Premier Technologies, LLC, founded by Ryan Wingerter, has been meeting the needs of professional organizations since 2001. From strategy to implementation to management, we deliver technology solutions that help drive transformation, improve productivity, and streamline business operations. "I had the opportunity to work with Jess Peterson on several occasions, and he absolutely has what it takes to get the job done. Western Skies Strategies has the relationships and commitment that make it a wise choice for any group or business trying to expand their presence in Washington D.C."
Special thanks to Merv Coleman at www.mervcoleman.com for his incredible photos.